The Ivy Tech Community College campuses in Indianapolis and Terre Haute, Indiana, began using Cisco Networking Academy curricula in their School of Information Technology (SoIT) 20 years ago, and quickly expanded to 10 campuses within a few years. When Indiana instituted requirements in K-14+ Science, Technology, Engineering, and Math (STEM) education, the statewide SoIT Curriculum Committee needed to determine how to best comply. They were impressed by the positive student experience with the Networking Academy’s combination of “head + hand knowledge” and that nearly all Network Infrastructure program graduates get jobs—more than any other SoIT program. The result? After reviewing the curriculum themselves and with regional employers, the SoIT Curriculum Committee was convinced: they asked the Networking Academy to assist in expanding the program to 25 more campuses and to eventually have all 40+ Ivy Tech locations include the Network Infrastructure program. Today, two-thirds of the Ivy Tech campuses teach the program in-person and the rest teach it remotely. Per regional industry guidance, networking skills are now foundational to all Ivy Tech SoIT degree programs. The Curriculum Committee is working on introducing the industry partnership model to create statewide high school learning pathways, and investigating how they can also support primary school STEM education. This K-14+ STEM focus is mandated by the Governor’s office to close the STEM skills gap and ensure Indiana citizens are skilled and job-ready, in order to fill the tech-related jobs local companies currently fill by hiring people from out-of-state. When people think of public-private partnerships in the context of industry and academia, mentoring, job shadowing, internships, and guest speakers most often come to mind. These are all useful activities in helping students transition from an academic to a business environment. However, to ensure young people are prepared to live and work in a rapidly transforming digital world, educators and industry need to work more closely together to define the skills needed and create experiences that inspire students to pursue STEM careers. To ensure young people are prepared to live and work in a rapidly transforming digital world, educators and industry need to work more closely together to define the skills needed and create experiences that inspire students to pursue STEM careers. Ivy Tech students and instructors attend a talk by Cisco leaders on securing networks greatly expanded by the Internet of Things (IoT). The market demand for competency-based education is growing rapidly. One opportunity for industry-educator partnership is collaborating on the rigorous design process needed to determine the skill competencies required by industry and the evidence that demonstrates student skill attainment of these competencies. Top industry certifications such as the Cisco Certified Networking Associate (CCNA) start with a job task analysis across companies hiring for that skill set. This creates a great starting place for the curriculum design process. In emerging technologies where no certifications currently exist, the industry panel engages with technology experts to define the skills needed, and with expert teachers to determine how to teach these skills effectively to secondary and post-secondary students. Some expert instructors become part-time activity authors, testers, and curriculum reviewers. Many of the classroom instructors are early adopters, providing valuable feedback on what is and isn’t working in the classroom. This curriculum development partnership also drives the professional development of the instructor base since most do not have prior experience with these emerging technologies and their associated learning tools. At Ivy Tech, SoIT instructors are requested to complete the Networking Academy’s first CCNA Routing & Switching instructor training course, resulting in better support for their students and increased confidence in using the campus networking lab. While the rigorous curriculum design process between industry experts and educators drives clarity on needed student outcomes, the ultimate benefit is to the students in their skill development, which results in employability, all while increasing employers’ confidence in the hiring process. This is why Ivy Tech requires all SoIT Associate’s degree students to take the industry certification associated with their program. Kyle Ramsey, an Ivy Tech Bloomington campus SoIT graduate, started his technology career as a Sales Engineer at Cisco in Indianapolis. After obtaining his CCNA Routing & Switching certification, Kyle became qualified to teach through the Networking Academy instructor professional development program. He also gained industry experience as part of the Dream Team program where Networking Academy students work alongside Cisco Engineers supporting IT conferences, the Olympics, and other large events. 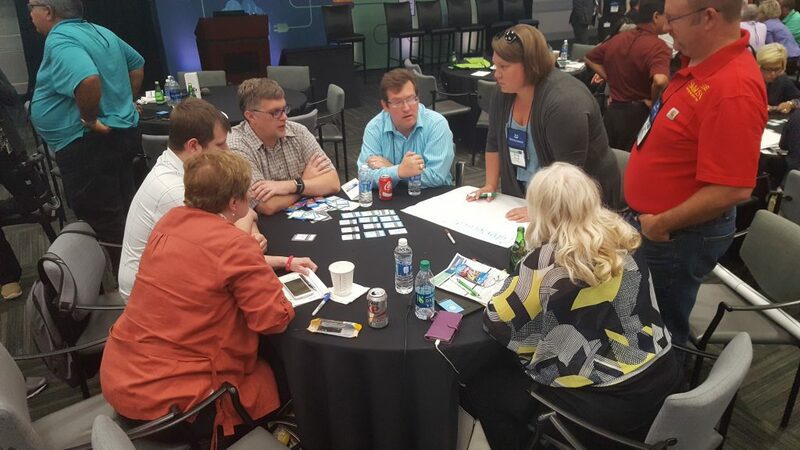 The Cisco team engaging with instructors, including an Ivy Tech Department Chair, Matthew Cloud, designing learning pathways for the digital transformation using the NetAcad portfolio card deck. Change in industry happens far more rapidly than in education, especially today. Alternative approaches such as Massive Open Online Courses (MOOCs) provide quicker access to new ideas and skills, but rarely include a hands-on component, and have very low completion rates. Valerie Golay, the SoIT department chair for two Ivy Tech campuses, reports their in-person and live remote-access student completion rates tend to be higher than online-only classes, a very common challenge. Keeping up with change is expensive and time consuming. Industry-education partnerships can help to alleviate the cost to academic institutions while adding value for industry. Student and instructor materials from the Networking Academy are available free online to participating institutions, updated regularly to keep relevant, and any needed Cisco software or hardware is free or deeply discounted, providing students and their instructors with hands-on practice. Regarding professional development, Networking Academy training partners and early adopters often go on to train other instructors within their region. Free webinars and online instructor professional development sessions are also offered regularly. With over 8,000 instructors globally, this is a very important tool to scale learning outcomes! 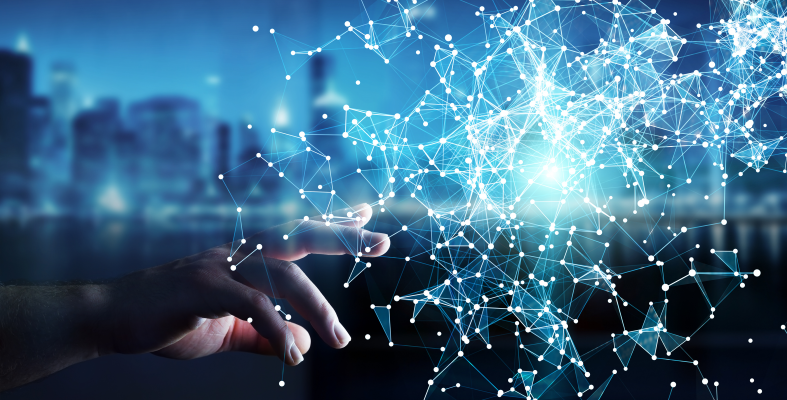 Ivy Tech and Cisco have an incredible partnership built over two decades and it continues to evolve at the same rapid pace as the field of Information Technology. The School of IT often refers to the partnership as the ‘torchbearer’ of how a partnership between a large community college and a large tech company can transform lives and add the needed high tech skills to the local and state economy. The Cisco-based Network Infrastructure degree program has one of the highest completion rates of any offering at Ivy Tech Community College, and it’s graduates command some of the highest salaries upon entering the workforce. The Cisco Networking Academy has been refining its public-private partnership model with industry and educators over the past 20 years. The solution to closing the skills gap in STEM disciplines cannot be “one-size fits all” at any level, whether partnering with government entities or individual instructors. The flexibility of this partnership model has created STEM education solutions across diverse educational and training settings—traditional educational institutions, workforce retraining programs, community training centers, prisons, and military, among others. Sometimes flexibility can be just a small change that makes a significant difference in outcomes. For example, Ivy Tech asked the Networking Academy to modify its completion certificates, adding “credential” in order to match the latest terminology used by their state education agency. This change is now helping students in Indiana, and across the country to be more competitive in the hiring process. Help ensure students are learning in-demand skills that lead to their improved personal, family, and community economic empowerment. Support educators in keeping abreast of the rapid pace of change inherent in STEM jobs today. Enable flexible solutions that can work across education levels to meet different student outcomes. Although many national programs are in place, such as at the technical universities across Mexico, Cisco finds that quicker and longer lasting outcomes are developed in partnerships at a regional level. This is due to greater ownership of the adoption decision and implementation process by educators, and stronger buy-in with industries that see a direct linkage to their hiring needs. 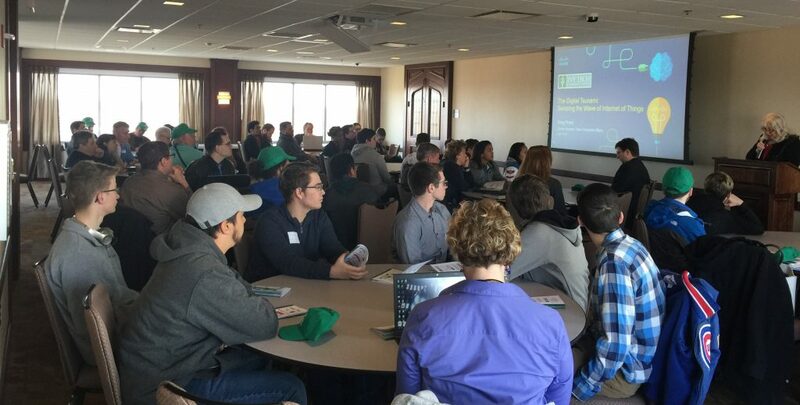 The Ivy Tech SoIT has 14 Big Tech industry partnerships, the most of any college in the U.S. They find developing deeper industry-education partnerships is helping to accelerate the achievement of Indiana’s in-state hiring goals, as well as creating brighter futures for its students. This article is part of a series on “solvable problems” within the context of the UN Sustainable Development Goals. The Global Engagement Forum: Live takes place this October 10–11, 2018, bringing together leaders from across the private, public, and social sectors to co-create solutions and partnerships to address four urgent, yet solvable problems—closing the skills gap in STEM, reducing post-harvest food loss, ending energy poverty, and eliminating marine debris and ocean plastics. Learn more about the Forum here.